Whether you are a small business trying to protect your legitmate business interests and confidential information, an employee looking to change jobs, or a parent whose child was injured at school or while in a camp or daycare setting and needs the assistance of an attorney, we promise to give you honest, straightforward, and ethical counsel. If you have a legitimate case, we'll tell you; and if you don't, we'll tell you that up front. Simply put, we believe that the beginning of every case should be evaluated with the end in mind -- and that you should be told at the outset what that end most likely looks like. 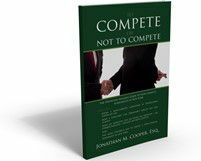 Is my non-compete agreement enforceable under New York law? What's the worst that can happen if a New York court finds that my contract was breached? What mistakes do I need to avoid if my child was bullied, or injured, at school? We don’t believe that the legal system is a tool for revenge, and we don’t believe that it should be used as a “lottery ticket” occasion for financial gain. We believe that the justice system is an important venue to protect innocent people’s interests against either ongoing or prospective harm, and that the courts are there to help people reach fair and equitable solutions to the problems of the past. In short, by availing themselves of our justice system, New Yorkers are able to resolve their issues honorably, and to move on with their lives in peace. Likewise, if you have been injured in a car accident, hurt by a defective product, or injured in a slip and fall accident, we have the knowledge, experience, and evenhanded consideration to help you with your case. We will work with you not only to find a proper conclusion to your legal issues, but also to answer your questions and inform you of the particulars of your situation. A settlement during trial for a 30-year-old man who required neck surgery after a plumbing van cut off his car. A settlement for a woman whose lung collapsed after a slip and fall in a icy parking lot. A settlement during trial for a King County college student who lost part of a finger when a door closer malfunctioned. A settlement for a woman who suffered second degree burns when the handle of her brand new ceramic mug broke. Moving a case forward through the New York Court system is a complicated process that involves a large amount of filings and paperwork that must strictly comply with the Courts’ rules. At the Law Offices of Jonathan M. Cooper, we strive to make this process as efficient and simple as possible. To do this, we have taken full advantage of technological advances that nearly no other New York law firms have integrated into their offices. Over the past several years, we have transitioned to a largely paperless office that not only saves our clients time and money, but also gives us the advantage of having all of our documentation stored and transferred electronically. In addition, we believe that we are the only law firm in New York that files all of our state actions electronically, an innovation that expedites your case by weeks or months, and thereby also dramatically reduces the cost of clerical services. We also offer a free e-book download and resources on our website that will help you understand some of the complexities of New York law and better inform you on the details of your particular case. At the Law Offices of Jonathan M. Cooper, we value efficiency, innovation, honesty, and justice. We want the best for our clients, from giving them the information they need to understand their case to making sure that our office uses the newest technologies and strategies available to keep down costs and save you time. Don’t settle for an attorney who sees a case instead of an individual – let us guide you through your case and find a prompt and sensible resolution. The Law Offices of Jonathan M. Cooper are located in Cedarhurst, New York, and serves the following areas: Brooklyn, Bronx, Queens, Manhattan, Nassau, Suffolk, Westchester, Rockland and Staten Island.